Wanna buy a new phone, which have rock solid specs and a finger print scanner? Just wait a few days because Coolpad is going to launch the Coolpad Dazen Note 3, which has very impressive specs and a fingerprint scanner and it will be priced under Rs. 10,000 in India. The Coolpad Dazen Note 3 was launched in China earlier this month and has got enormous response from smartphone fans. The Coolpad Dazen Note 3 runs Android 5.1 Lollipop out of the box. It has a 5.5-inch HD (720×1280 pixel) display and is powered by a 64-bit octa-core MediaTek MT6753 processor coupled with 2GB of RAM. The device has 16GB of storage on board. However, Coolpad India CEO revealed that Coolpad may upgrade RAM upto 3GB for India, which is a great news. 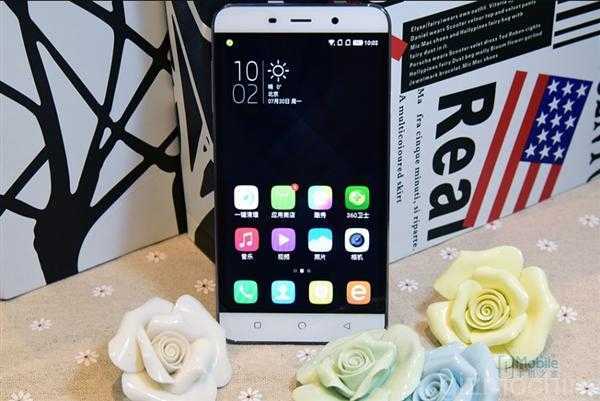 The Coolpad Dazen Note 3 sports a 13-megapixel rear autofocus camera with LED flash and alongside a 5-megapixel front-facing camera and both the cameras will come with a CMOS image sensor, which will enhance the image quality. The device will be juiced by a 3000mAh battery, and will support 4G LTE (Indian band support information no available at this moment). The fingerprint sensor is said to support 360-degree finger rotation, and offer speedy recognition. The phone wil be available in black and white colors. In China, the Coolpad Dazen note 3 is priced at CNY 899 (around Rs. 9,300).